Click on 'Confirm order' to proceed to the payement portal and complete your order. Once your order is placed, we will either automatically confirm it by notifying you via email, or we will call you for confirmation in case we need more details. Please note that this confirmation is a mandatory step before we ship your order. In case you have a doubt about whether the confirmation was done or not, do not hesitate to contact our Customer Service Call Center at 0302740630 or [email protected] a few hours after your order placement. Call our customer care at 0302740630 or [email protected] to create your return. We will send you regular updates about the status of your order via emails and SMS. After your order has left our warehouse and is on its way to you, you can also track its status by entering your tracking number on https://packagetracker-services.jumia.com/#/gh. Please send us an email on [email protected] if you think a product listed on our website does not meet these criteria. You can start by clicking on a category name from the category menu on the left side of the website. This shows all the products we have within that category. If you know what you are looking for, just type the name of the product or brand in our search bar at the top of the page and click Search. .
Free installation is not offered unless very specific exceptions.. Be sure to check the product description of products to get more details about installation. In case of doubt, do not hesitate to contact our Customer Service Call Center at 0302740630 or [email protected]. Jumia provides you with the chance to return your product within 7 days after delivery. Past those 7 days, potential issues will be covered directly by the Seller if the product was provided with a warranty. If a warranty is offered on a product, the warranty period will be displayed on the right side of the product page. 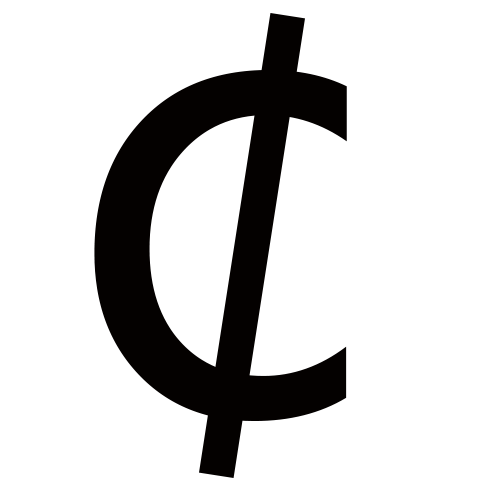 If a product is sold by multiple vendors, the warranty period offered by each vendor will be displayed to the right of Seller name, in the 'more information' box. In case of doubt, do not hesitate to contact our Customer Service Call Center at 0302740630 or [email protected]. Warranties are covered by Sellers, not by Jumia. You can claim any warranty by presenting your product and the warranty card at an authorized service center of the Seller. Do not hesitate to contact our Customer Service Call Center at 0302740630 or [email protected] to be provided with the contact information of the service center of the Seller of your product. Please refer to the manufacturer (or service center) details on the warranty card included with your product or go to your product page on Jumia.com.gh and look for warranty/service center information in the "description" tab. If there is no warranty card, please check the user manual or product packaging for more details or get in touch with our Customer Service Call Center at 0302740630 or [email protected] so we can help you to resolve the issue. Please get in touch with our Customer Service Team at 0302740630 or [email protected] so we can help you to resolve the issue. The warranty for your product should start from the date of order. Please contact our Customer Support Team at 0302740630 or [email protected] if this is not the case. We'll send you an email once your order has been confirmed. We'll also send you an email as soon as your order leaves our warehouse (shipped). Please get in touch with our Customer Service Team at 0302740630 or via [email protected] so we can help you to resolve the issue. We do our best to get your orders delivered by the date listed on the product page. We also offer a premium delivery service for selected brands called Jumia Express. Jumia Express products ordered before 2pm are delivered within 2 business days in Accra.Click here for more information about Jumia Express. We are sorry that your order is delayed. You can follow its progress by entering your tracking number on https://tracking.Jumia.com.gh/package/tracking. If the status has not changed in a while, please get in touch with our Customer Support Team at 0302740630 or [email protected]. If you are having trouble placing products in your cart, please make sure that you have made all relevant size and color selections. If you still have problems, this may mean that the item you are trying to buy is sold out. Please get in touch with our Customer Support Team at 0302740630 or [email protected]. You can stay up to date with the status of your order at all times on https://tracking.Jumia.com.gh/package/tracking. If you did not receive information about the shipment of your order while the promised delivery leadtime has passed, or if you have any doubt, do not hesitate to contact our Customer Service Call Center at 0302740630 or custom[email protected]. A hard copy of the invoice will always be sent along with your order. If you have not received an invoice, please get in touch with our Customer Service Call Center at 0302740630 or [email protected] and we will send you a copy of your invoice. You can find the other payment methods during the final step of checkout in detail. Do not hesitate to contact our Customer Service for more information. How do I pay by Bank Deposit/Transfer? At the end of the checkout, choose Bank Deposit/Transfer as payment options and follow the steps after confirming your purchase. How do I pay by Mobile Money Transfer? At the end of the checkout, choose either MTN/TIGO as payment options and follow the steps after confirming your purchase. If no payment option is shown after you’ve entered your shipping information, you need to go back to your cart and make sure that you have only selected non Jumia Global Products. If it is the case and you still cannot access Cash on Delivery, it may relate to your Region or some other very specific reasons: please contact our Customer Service Contact Center at 0302740630 or [email protected]. It’s simple! When you get to the payment stage while in checkout, simply enter the voucher code in the voucher box. How can I pay for my order using the Jumia app or the Jumia mobile website? The Jumia mobile app and mobile website offer all the payment options that the Jumia website version offers. You can pay without any worries with the preferred option of your choice. Which currencies does Jumia GH accept? My order value is more than the Voucher amount, what do I do now? If your Voucher value is less than the order amount, you’ll be asked to select an additional payment method to complete the payment. You can initiate your return within 7 days of delivery. For example: If you received your order on the 5th, then have until the 12th to request a return. Refunds are done using the same method of payment as the one done during the payment. Once your item has been retrieved, expect an overall duration of 10 days to receive your refund, provided the return is matching the returns conditions. If you requested a pick up, we will send you a tracking number by SMS after the pickup has been arranged. You can then follow your return by entering the tracking number at https://tracking.Jumia.com.gh/package/tracking. Please don't hestitate to get in touch with our Customer Service Team at 0302740630 or [email protected], if any issues. Please always if possible on your side, verify the item delivered when given by the delivery agent. And reject if not matching your order. In case you accepted it from the delivery agent, you can still return within 7 days (see information about the return policy). Sorry, returns are not possible after the 7 days return period. You can reach our team for further questions at [email protected]. Please rest assure that your card will be credited within 10 to 12 working days after the acceptance of your return. If this is not the case, don't hesitate to contact our Customer Service Call Center at 0302740630 or [email protected]. Please rest assure that your bank account will be credited within 6 to 8 working days after the acceptance of your return. If this is not the case, don't hesitate to contact our Customer Service Call Center at 0302740630 or [email protected]. You will have to return your product, within the 7 days after the delivery, and place a new order when it becomes available again. Please do not hesite to contact our Customer Service Call Center at 0302740630 or [email protected], who will offer the closest available substitute of the product to you. I have requested for my product to be returned. What happens now? For returns within Accra and Tema once your return is accepted, we’ll schedule for it to be picked up from your address. Requests received before 10am will be picked up on the same day or the next business day. Requests received after 2pm will be picked up on the following two next business days. Yes, any free gift must also be returned. What happens when my returned product is received back at Jumia’s Warehouse? You can request for your order to be delivered to a different address within the same region or city before your order is shipped: for that please contact our Customer Service Call Center at 0302740630 or [email protected]. You should refuse to accept an open package, as we will not accept returns of electronics products unsealed (unless for defective reason). If you do accept such a package by mistake or find out it has been tampered with, please get in touch with our Customer Service Call Center immediately at 0302740630 or [email protected]. Estimated delivery times depend on the location of the seller. For example, a mobile phone shipping from Kumasi would have a different estimated delivery time for customers in Accra than a mobile phone shipping from Accra. Does Jumia deliver outside Accra? Jumia delivers all across Ghana through its own logistics & external logistics partners. We accept Cash on Delivery in all cities within Accra only. Apologies for the inconvenience caused, please get in touch our Customer Service Call Center at 0302740630 or [email protected] so we can make things right. Start by clicking “My Account” and then “sign up” in the top right corner of your screen. Jumia Express Items are stored in Jumia’s warehouse, which ensures very fast delivery, no out of stock cancellations and highest standard of quality storage. Jumia Express products ordered before 2pm are delivered within 2 business day in Accra, and within 3-5 business days in Cities outside Accra. Jumia Express items are delivered with the same shipping charges as the other products, and do not request any subscription: choosing Jumia Express items ensures you a premium without extra charges! Click here for more information about Jumia Express. Jumia Express is only available for selected products. To find out if a product is available with Jumia Express or not simply look for the Jumia Express logo on the product page. You can also use the Jumia Express filter to only see items available with Jumia Express. Yes, our timelines for picking up your retuned items (whatever Jumia Express or not) are the same as the ones to deliver Jumia Express items. Jumia now enables you to shop for products from sellers located overseas. Those products will be brought by Jumia to Ghana and delivered to you door step. Prices include international shipping and customs. Jumia protects you against potential reevaluations at customs clearance. Local delivery fees can be charged at checkout depending on your address. You can pay for your orders in Cedis using the authorized online payment methods on Jumia. Jumia Pay is also available to purchase goods from overseas. Payment on delivery is not accepted. Once your order is shipped, Jumia cannot halt delivery as the import process has started. Cancellations are therefore not authorized after order confirmation. The delivery timeline is indicated on the product page under the name of the seller. This delivery timeline is in business days, meaning it doesn't take into account weekend days and public holidays. It includes the time for the seller to fulfill the order, the international shipping to Ghana, the customs clearance in Ghana and the first attempt to deliver your order. In case your item has not yet reached you within the estimated delivery time displayed on the product page, please contact our Customer Service at 0302740630 or [email protected] between 8am and 6pm on weekdays for clarification. No, all “Shipped from overseas” products are delivered at no additional cost to you, as the price includes customs fees and import duties. You are not expected to pay any additional duties or taxes. If you are asked by Customs or our logistic partner to pay duties, please contact our Customer Service at 0302740630 or [email protected] between 8:30am and 5:30pm on weekdays for clarification. You can find how to return your products here. Special event prices become active at the time mentioned with the campaigns details. Stay tuned to jumia.com.gh for more details. 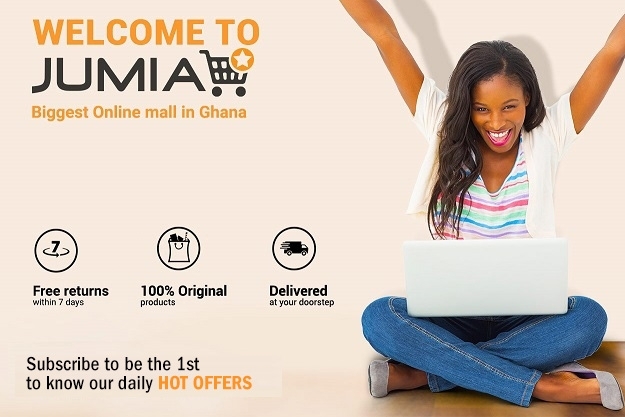 Jumia is Ghana’s largest e-commerce mall. With more than 6,000,000 visits every month, it gives you access to sell and deliver goods to cities and towns all over Ghana. Click here to find out more. If you sell new and genuine products, you can register yourself immediately by visiting www.jumia.com.gh/market-place and filling out a brief form. Within 3 business days, someone from our team will get in touch with you to guide you through the rest of the process. If you think that your Intellectual Property Right has been infringed by any of our sellers, you can send us an email to [email protected]. Click here to find out more.